SAFE HANDS: William Fox-Pitt on board Luxury FH at this year's Equi-Trek Bramham International Horse Trials. Picture by James Hardisty. THE quest for a tenth win at Bramham will have to wait another year for eventing’s new MBE William Fox-Pitt. Not that in the grand scheme of things failing to win at Bramham is a big deal. Eventing prizes were the last thing on the mind following a horrific fall at Le Lion in October 2015 which left the five-time Olympian placed in an induced coma and fighting for his life. The former world number one remarkably returned to competition just six months later but understandably with a rather different view on what it meant to be winning. “I was lucky to be alive,” admits Fox-Pitt. It naturally follows that the life-threatening fall of 2015 on Reinstated will always stand in the back of the eventer’s mind. Yet slowly but surely the 49-year-old says his old hunger and drive are returning with the eventer admitting a place on the plane to the Tokyo 2020 Olympics remains very much on his mind. Fox-Pitt’s incredible achievements at Yorkshire’s premier eventing fixture have earned him the title as ‘Mr Bramham’ following an amazing nine wins at an event that the rider first competed at as an 18-year-old in 1987. Thirty one years later, Fox-Pitt was back for the umpteenth time at this year’s event earlier this month in which he had to settle for finishing 11th in the flagship CCI three-star on Oratorio II who fared the best of the eventer’s three entries at the venue as a whole. Having missed Bramham in 2017 due to a lack of firepower, this year’s appearance became Fox-Pitt’s second since his crushing fall and head trauma in France in October 2015 with the rider amazingly back in the saddle at Burnham Market the following April and later taking both Chilli Morning and Cool Mountain to that year’s Bramham. Just two months later, Chilli Morning and Fox-Pitt were back competing at the Olympic Games but while the recovery may have seemed speedy, the 49-year-old admits the quest to return to any sort of normality has been long and hard. Even now, the Fox-Pitt ‘renaissance’ is still continuing but bit by bit the popular eventer says he is rediscovering his former verve. Speaking to The Yorkshire Post, Fox-Pitt openly analysed the path back since that fateful time and admitted: “It’s been quite a tough road. Obviously when it all happened I had the whole Rio trip to aim for and I had Chilli Morning who was there and Chilli Morning even came to Bramham in 2016. It is quite a miracle that happened. 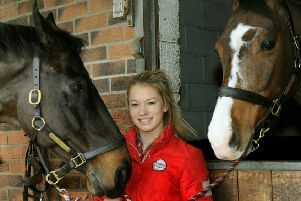 “And then after Rio things took a bit of a regroup and I was looking at a lot of younger horses, starting again really. I lost a lot of my hunger I think. “I was lucky to be alive so I was no longer thinking ‘I have got to win this or I have got to that’ because, do you know what, who cares? “It was just about enjoying it and having a good time. “I think I lost a lot of my drive and a lot of my get on and go and if a horse knocked a jump down you thought ‘oh well, never mind’. Assessing where he is at with his comeback and what the future may hold, Fox-Pitt continued: “I haven’t done three years yet and they all said ‘it is going to take five or six years before you feel back’ and they did say that I would never feel normal again and I can accept that. “I am a little bit forgetful and I am probably a little bit thick which I probably was before! “It will take time and you will remember more as the years go on and things do reconnect. Fox-Pitt at one point looked on course to challenge for an amazing tenth win at this year’s Bramham after both Oratorio II, Luxury FH and Fernhill Pimms all produced good dressage tests but the rider had to settle for finishing just outside the top ten with Oratorio 11th in the CCI three-star. A tenth win at Bramham, though, remains very much on the mind. “I keep on trying,” he smiled. “It’s amazing that I have got to nine wins at Bramham, how did that ever happen? With Fox-Pitt not turning 50 until next January, there appears plenty of time left for further cracks at Bramham and indeed even ample time for another Olympics. Assessing the prospect of boarding the plane to Tokyo, Fox-Pitt mused: “I have had my go at Olympics but it would be very exciting and Tokyo would be a tremendous one to dare I say go out on. “They are going to put on a good show aren’t they and I have got some lovely horses so who knows? “I have got Little Fire – the one I had the other week in Tattersalls – the ones I had at Bramham and a couple that are looking promising. 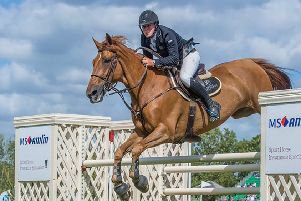 William Fox-Pitt is likely to be competing at this summer’s Magic Millions Festival of British Eventing and The Yorkshire Post is offering one lucky winner Caravan Membership for the whole weekend (worth £150). The prize includes a camping pitch and admission for the weekend for two adults (children under 12 go free). TThe Festival runs form August 3 to 5 with the Caravan Membership prize worth £150 and including a camping pitch and admission for the weekend for two adults (children under 12 go free). The Magic Millions British Open CIC3* sees many of the top riders vying for the British Open title. The four other National Championships taking place include the Smith & Williamson British Intermediate Championship; the Dodson & Horrell British Novice Championship and the TopSpec Challenge for The Corinthian Cup, which is open only to amateur riders at Novice level. This year for the first time the ROR/NTF Retrained Racehorse Event Championship sponsored by the National Trainers Federation will be hosted at the festival. Arena attractions include The Devil’s Horsemen, Shetland Pony Grand National, The Pony Club Mounted Games and ‘have a go’ dog agility. Arena Eventing is back again this year with competitions at both 90cm and 100cm. To be in with a chance of winning Caravan Membership for the event, answer the following question and email the answer with a name and daytime contact number to lee.sobot@jpress.co.uk. How old is William Fox-Pitt? 39, 49 or 59? Normal Johnston Press competition rules apply. For more information go to: www.johnstonpress.co.uk/competition.